There were over 52 million media impressions in Mexico, the United States and some countries of South America and Europe, thanks to broadcasts on network TV, pay TV, Televisa.com and Blim. It’s a well known fact that Televisa has been the leading network in Mexico for years, something that came into play with the extraordinary diffusion obtained by the Riviera Nayarit thanks to the documentary titled Tesoro Escondido de México (Mexico’s Hidden Treasure), created by producer and reporter Alberto Tinoco Guadarrama for the Los Reporteros (The Reporters) and Por el Planeta (For the Planet) segments. There were 22 shows broadcast during prime time on Televisa’s newscasts (Canal 2, Foro TV and Galavisión), 21 reruns on pay TV and 5 capsules placed on Televisa.com. The complete documentary is also available on the streaming service, Blim.com. The program received 29,016,864 impressions thanks to the broadcasts on network TV, pay TV and Televisa.com. The total airtime totaled 9 hours and 39 minutes. Of note is that the transmission on network TV’s Channel 2 also reached into the United States and some countries in South America and Europe, which added 23,067,144 impressions for a grand total of over 52 million impressions. 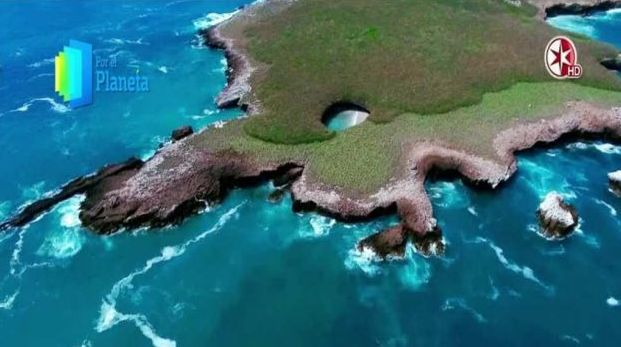 The entire documentary is available on the network’s streaming service, Blim, where you’ll need to search for Por el Planeta Season 1, Episode 17, titled “Tesoro Escondido de México” (“Mexico’s Hidden Treasure”).